Can You Eat Fruit After Bariatric Surgery? What's The Recovery Time After Bariatric Surgery? New nutrition facts are here and they are an RD's dream! What Foods Should I Avoid After Weight Loss Surgery? New Jersey Bariatric Center Registered Dietitian Meagan Butler answers the frequently asked question: What foods should I avoid after weight loss surgery? Bariatric Surgery FAQ: Will I Lose My Hair After Weight Loss Surgery? New Jersey Bariatric Center surgeon Dr. Angela Glasnapp answers the frequently asked question "Will I lose my hair after weight loss surgery?" Meal Prepping for a Happier and Healthier You! Ever wonder if weight loss surgery is right for you? 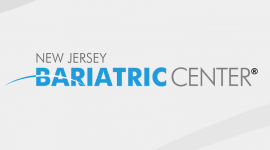 Baratric surgery could help you achieve the sustained weight loss you are looking for. Dr. Ajay Goyal explains what you should consider when deciding between gastric bypass and gastric band − LAP-BAND® or REALIZE® band − surgeries. Dr. Angela Jack Glasnapp of New Jersey Bariatric Center offers tips for making sure the weight stays off after bariatric surgery. NIH study confirms what New Jersey Bariatric Center surgeons see every day – patients successfully maintain weight loss with Gastric Bypass and LAP-BAND procedures. Gastric Bypass, Gastric Sleeve, LAP-BAND patients will join surgeons and staff to raise funds for the ASMBS Foundation and the Obesity Action Coalition. Recipes to Punch up Your Protein! Recognition will open doors for obese patients to get treatments they need, says expert in gastric bypass, gastric sleeve and gastric band (LAP-BAND) procedures. Meetings provide healthy lifestyle and weight loss guidance and tips to Gastric Bypass, Gastric Sleeve and LAP-BAND patients. Surgeons at the New Jersey Bariatric Center perform ground-breaking LAP-BAND® and REALIZE® Band surgery. Fewer incisions result In less scaring and faster recovery. New Jersey Bariatric Center Founding Surgeon Dr. Ajay Goyal featured on CNN's The Situation Room with Wolf Blitzer. New Special Introductory Program Includes Exercise Class Created Just for Gastric Bypass, Gastric Sleeve, LAP-BAND and REALIZE band Patients. Weight Loss Surgery vs. Weight Loss Drugs: Which Is Right for You? 7000-square-foot Springfield office provides dignified care for patients suffering from morbid obesity. LAP-BAND, Gastric Bypass, Gastric Sleeve patients who lost a combined total of almost 3,000 pounds gather together to celebrate their weight loss achievements. FDA Approval of the LAP-BAND® Use for Lower BMI Gives People Struggling to Lose Weight Another Option to Combat Serious Health Issues.